Angry Birds is probably one of the most impressive games ever made for the iPhone. I mean, who knew that launching cute little chirpy birds with a slingshot can be so addictive. 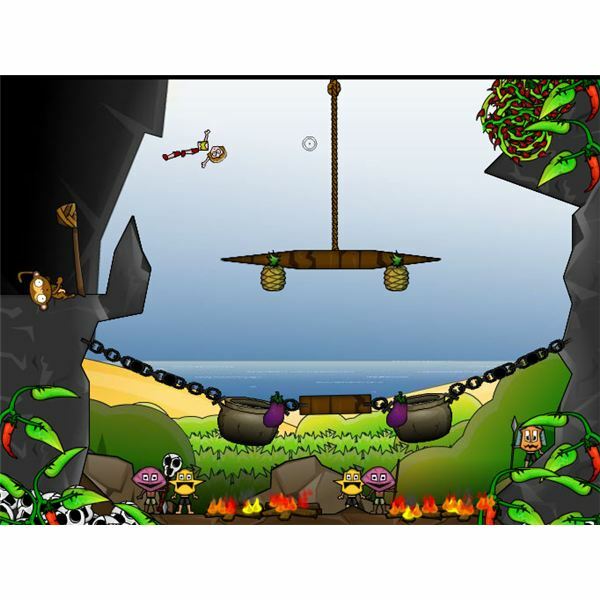 The gameplay mechanics of Angry Birds is not new as it is similar to physics-based artillery games like Crush the Castle – an online game released much before Rovio’s iPhone game. However, its unique concept, superb game design and easy, yet addictive gameplay is the key reason for its popularity. Interestingly, developers Rovio kept the artillery theme, but replaced monarchs and castles with “evil pigs” and fragile ice & wood framework, and canons with wingless birds. Recently Angry Birds was released for the Windows XP and Windows 7 platform. Rovio’s recent PC release makes you wonder whether there are some good PC games like Angry Birds available on the Internet. Yes, there are several physics-based artillery games available online. But, only a few good Angry Birds alternatives are available on the Internet. Some of these games boast concepts as remarkable as Angry Birds, and are equally impressive and addictive. Here are some of the best free online games with gameplay mechanics similar to Angry Birds. This is one of the best online PC games like Angry Birds. The concept is as unique as Angry Birds. There’s no artillery or castles, but a cute little monkey controlling a coconut tree catapult, a tribal cooking pot and several menacing cannibals. You will have to use the monkey-controlled trebuchet to fire rag-dolls and try to land them in the cooking pot. Just move the mouse to set the speed and direction and click to fire ragdolls. Cannibal Casserole’s level design is truly awesome and throws in some great challenges to players. Cooking pots will be positioned in such a way that you will have to think twice before launching ragdolls. Some of the levels require you to activate traps, which in turn will make it easier for you to land ragdolls in the cooking pot. There will be some obstacles in the form of cannibals and thorny bushes, but you can use those pushes to your advantage in some levels. The game’s visuals are quite colorful and impressive and every level boasts a completely unique setting than the previous levels. Overall, Cannibal Casserole is a great online Angry Birds alternative. 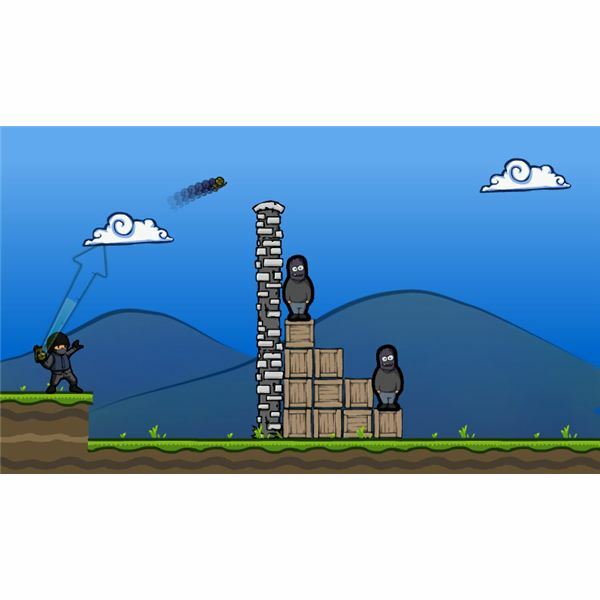 Fragger is one of the best online PC games like Angry Birds. You don’t have typical medieval artillery to fire cannons, but a modern-day soldier who throws grenades at enemies through obstacles. The game has 30 levels of fun physics-based puzzles. All you have to do is aim; adjust the power by dragging the mouse towards and away from the grenade and click to throw the grenade at enemies. In Fragger, each level tests your brain by adding different types of obstacles. You will have to set the right power and direction before throwing any grenades. You will have a limited number of frags at your disposal. The more challenging the level is the more the chance of earning points rewards, so make sure you kill more than one enemy with a single grenade to make sure you don’t run out of frags and at the same time earn more points. The game has plenty of levels and achievements to be unlocked. Overall, Fragger is a great game with easy controls and variety of puzzles. Sandcastle’s gameplay concept is similar to other physics-based artillery games, but you will have to defend your tower while shooting invading ships. An interesting aspect of the game is the variety of cannons and ammo available to shoot down the enemy fleet. Sandcastle has an interesting list of ammunition ranging from rocks, pebble bombs, pencils and even a large tennis ball. The variety of cannons is equally interesting – You have medieval cannons getting transformed into futuristic artillery whenever you switch to a different type of ammo. The gameplay mechanics is similar to Angry Birds for PC. You will to move the mouse to change the direction and click to shoot. The game has several challenging levels to play and each level tests your strategic skills by throwing in additional challenges. If you are looking for a good online PC games like Angry Birds, then you must play Sandcastle. A Crush the Castle clone, Crusade is impressive and has easy mouse-based controls. You can set the direction, the shooting power and then double-click on the screen to fire the cannon ball. The game has a very unique plot – you will have to defend medieval Europe from invading extraterrestrials and monsters. Every level has a different setting than the previous levels, and this makes it more challenging for you to shoot down monsters and aliens. You will be awarded with medals every time you complete a level with few cannon shots. Crusade also lets you build your own levels through its game editor. You can save your custom levels and play them later. Although the game will remind you of Crush the Castle, its easy controls and unusual concept makes it an ideal Angry Birds alternative. 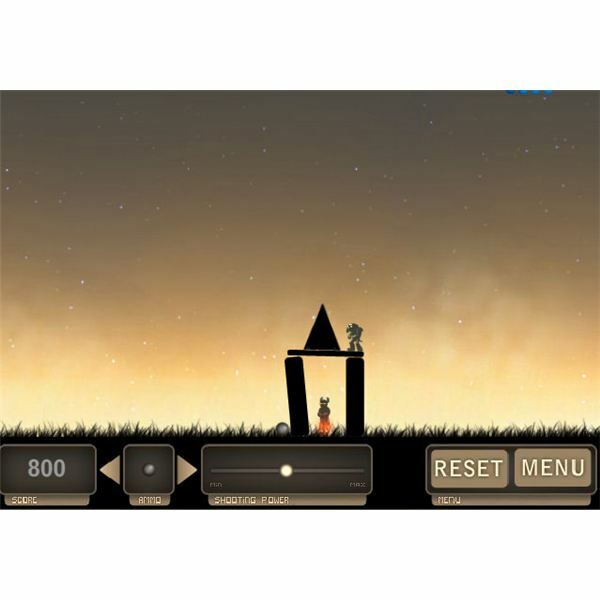 Sieger is much easier to play than other online PC games like Angry Birds. Instead of clicking and dragging the mouse to fire cannon balls, you will have to click on the fragile part of the castle to shoot cannon balls and bring down the castle defenders. The objective is to kill all castle defenders and save the hostages. You will have to be careful as the hostages are kept in the same castle and a slight misjudgment in choosing the supporting block may kill them too. You will have to see which supporting blocks of the castle can be smashed to kill all the defenders without harming the hostages. There is also a treasure chest hidden in the castle. You will get more points if you hit the chest. Sieger also allows you to unlock three medals – Clear, Decisive and Brilliant Victory. The medals are awarded for shooting down all castle defenders with a few cannon shots. There are various challenging levels to be unlocked as well. All in all, Sieger is an easy-to-play and addictive artillery game.